You J, Wang H, Huang X, et al. 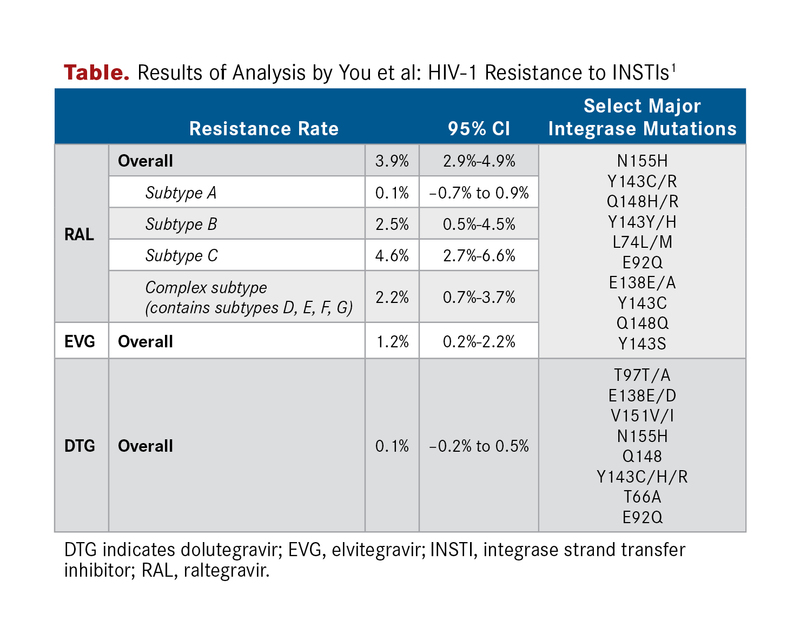 Therapy-emergent drug resistance to integrase strand transfer inhibitors in HIV-1 patients: a subgroup meta-analysis of clinical trials. PLoS One. 2016;11(8):e0160087. doi: 10.1371/journal.pone.0160087.